Capped 23 times by his country, Tae-Yong spent the first three years of his coaching career out in Australia but has been in and around the South Korean national side since 2014. Having managed the under 23 and under 20 sides, as well as acting as assistant to the national side, he was handed sole control with just two games to go in the qualifying stages for this competition. With South Korea looking in serious danger of missing out, he did manage to steady the ship with two goalless draws being enough to just get them over the line. 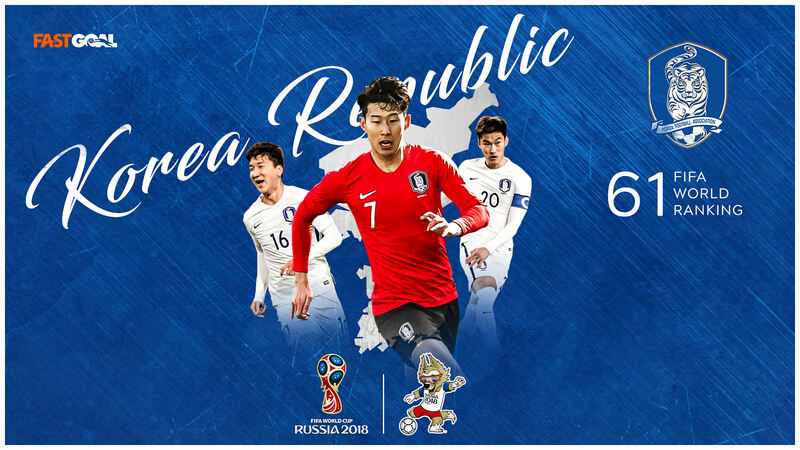 Don't expect South Korea to be boring to watch though as the tactically versatile Tae-Yong's natural inclination is to set up his teams to attack. Few - if any - household names at the back for South Korea, with the players in the goalkeeping and defensive positions all hailing from either the South Korean, Chinese of Japanese leagues. What they do have going for them though is supreme fitness and organisation, although they have looked vulnerable from set-pieces at times. The star names in the side come further up the pitch. Captain Ki Sung-Yeung will be hoping this tournament can help shake off what was a disappointing relegation season with Swansea City. He remains a lively presence in the middle of the park and a legitimate goal threat in and around the area. Koo Ja-cheo arrives on the back of an excellent season at Augsburg and is another of the first names on the team sheet. The sides big star is of course the Premier League's Son Heung-Min who is generally supported up front by Kim Shin-Wook of the K-League. The clear standout in the South Korea squad is Tottenham Hotspurs pacey and talented forward. The man known as Sonny to his legions of adoring fans has filled in admirably for Harry Kane at times for Spurs this season, and when it comes to centre forward play, compliments don't come much higher than that. Equally dangerous cutting in from the flanks as he is as a front man, his lightning pace makes him deadly on the break and he heads here at the very top of his came. It isn't too much of an exaggeration to suggest that South Korean hopes hinge on how he farers in Russia. The fact that South Korea struggled so mightily just to claw their way out of one of the weaker qualification groups does not bode well for their chances at the finals itself, particularly having been drawn in such a tough Group. Expect them to be organised and have their moments, without being quite good enough to make it through to the next stage.